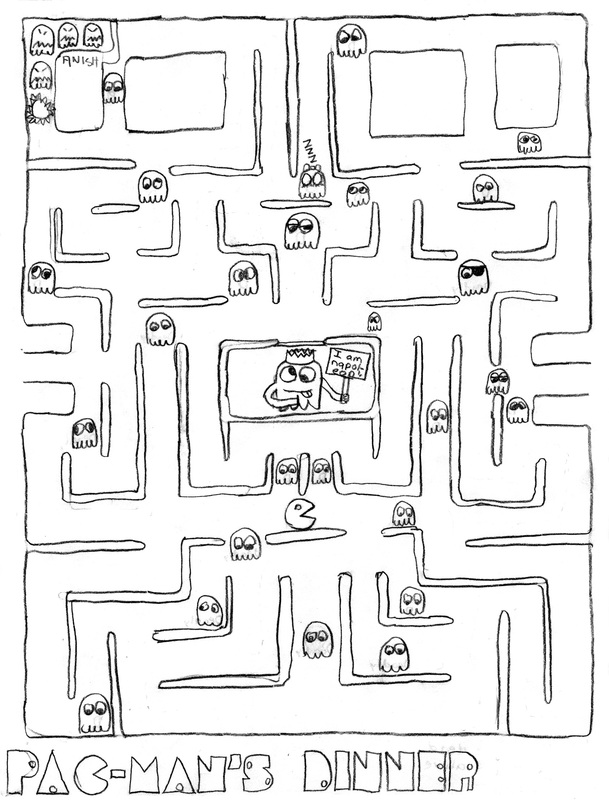 Concept: Pac-Man © 1980 Namco. Since Pac-Man itself is played on a maze, it seemed appropriate to make a Pac-Man maze on its native playfield. I had originally intended to have multiple power pills and blue ghosts in the maze, but later decided to make eating four blue ghosts the end goal of the maze, just like the game! I like the crazy ghost in the middle.